The following images are extracted from video of the entire event (click thumbnail for larger image). 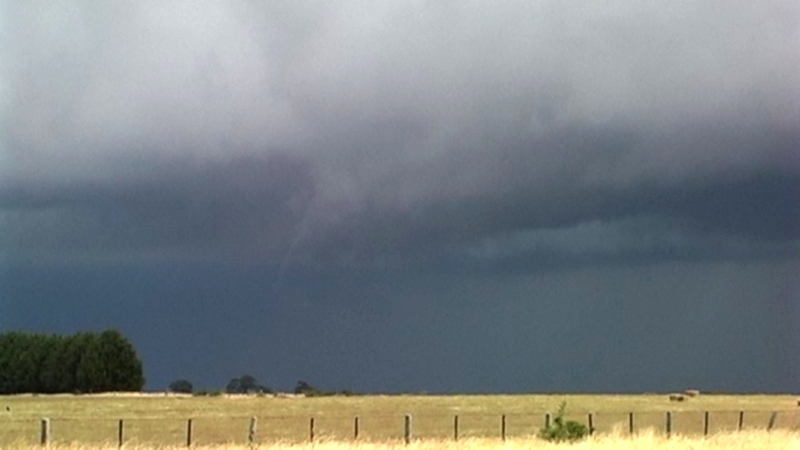 The first funnel appearing at 1540. 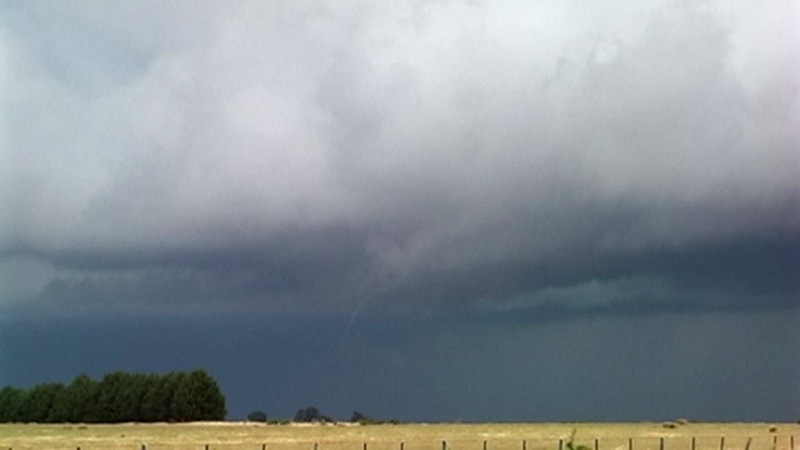 Image of second funnel approximately 1543 shows a rope funnel hanging halfway to the ground. 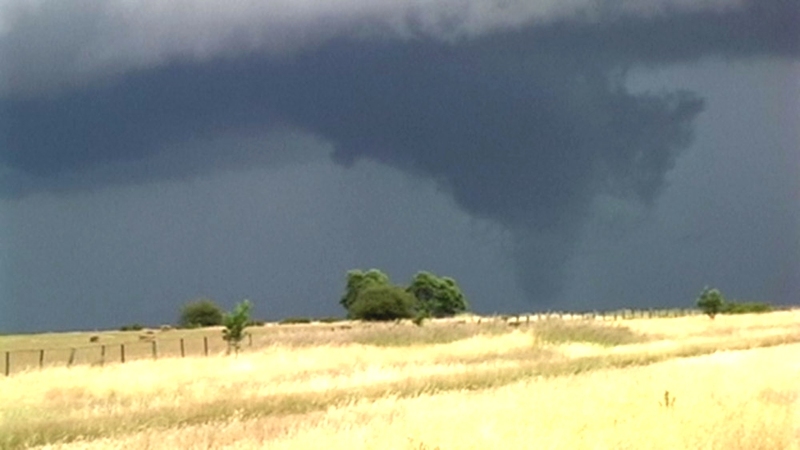 This funnel developed approx 5 or so kms east of the 1st funnel. Image of rope funnel. The tornado developed between the 1st stumpy funnel and the rope funnel all in the space of less than 10 minutes.....you have to be quick to catch tornaodes in Australia! 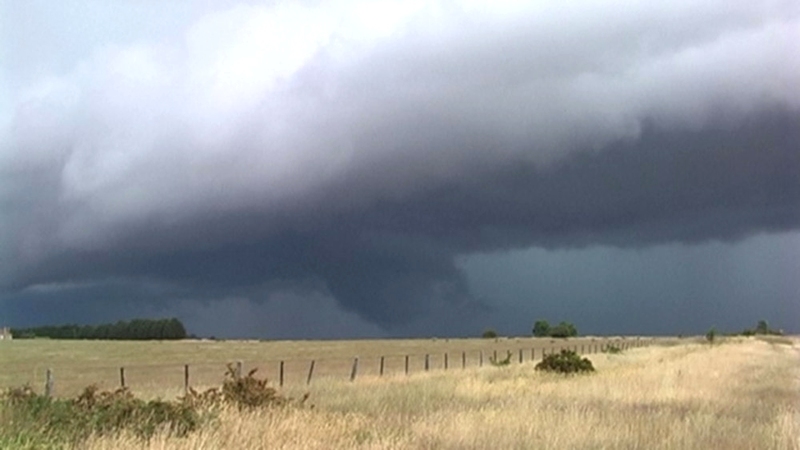 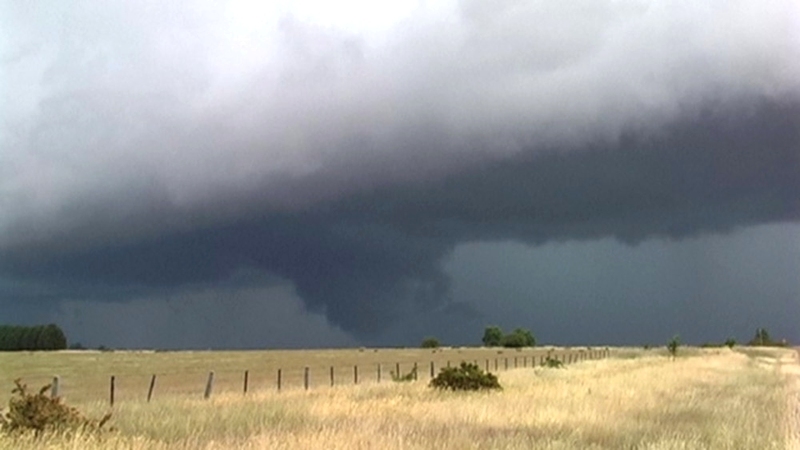 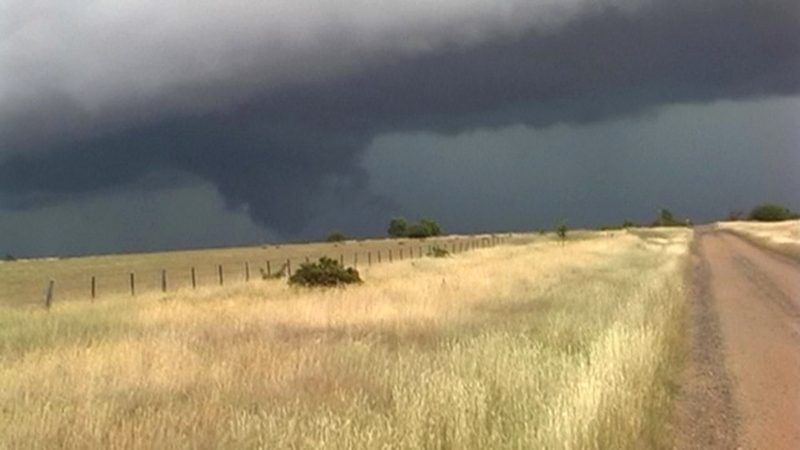 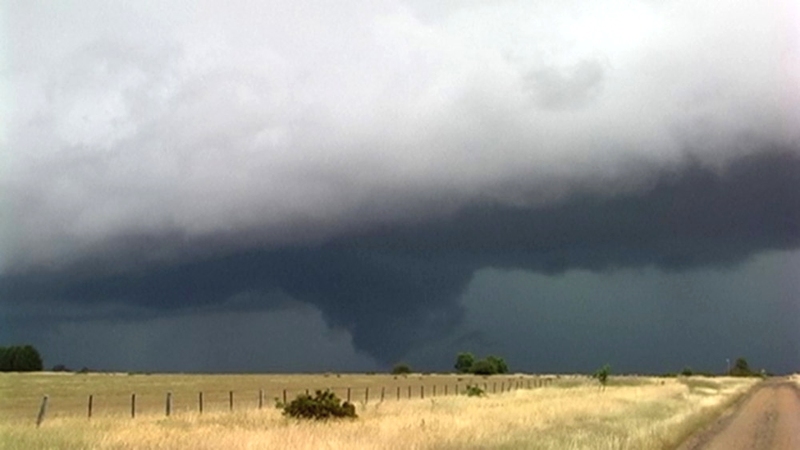 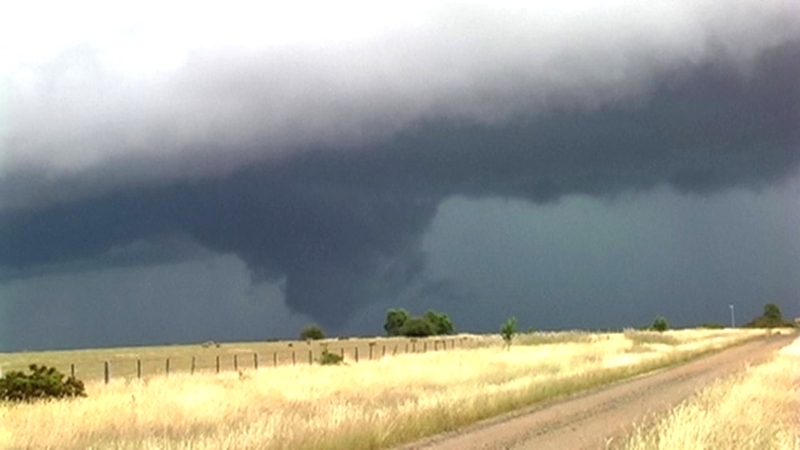 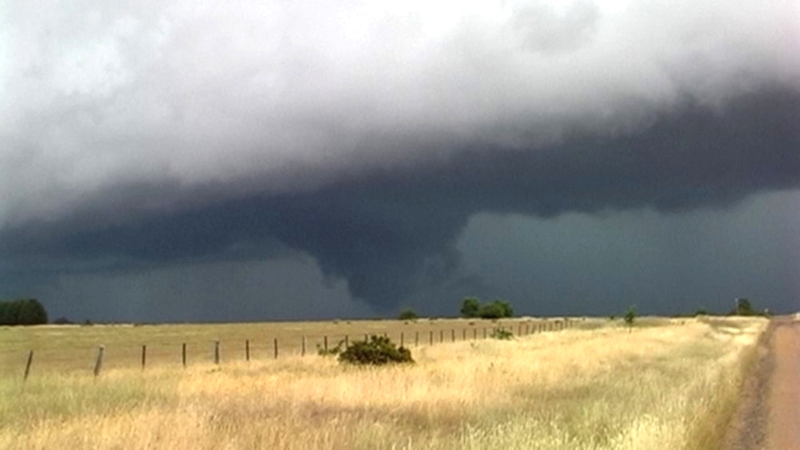 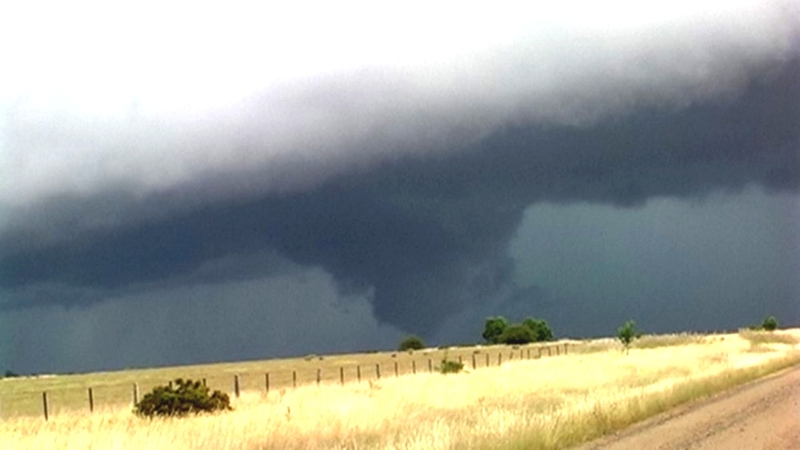 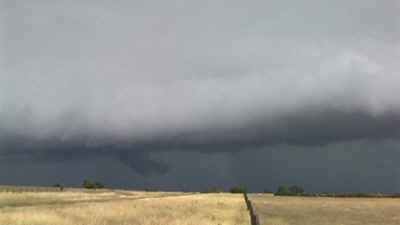 A narrow lowering I dismissed as a fractus lowering after the appearance of 2 separate funnels nearby. 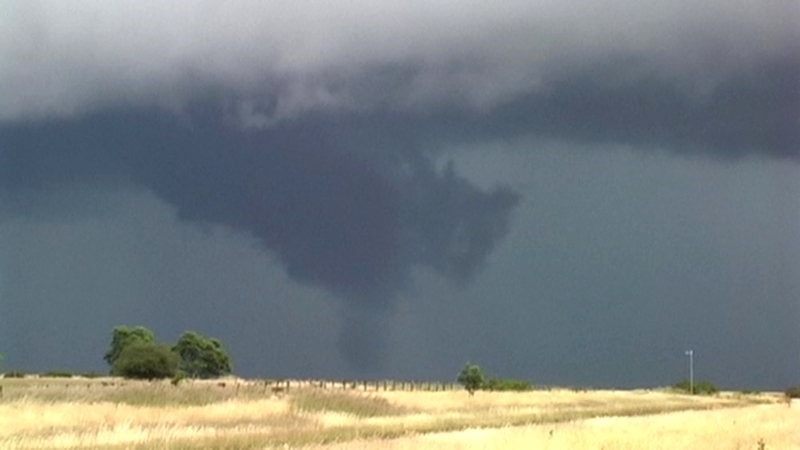 Careful scrutiny of the fractus shows a V shape on the ground. It is apparent that a connection was already established behind the fractus. 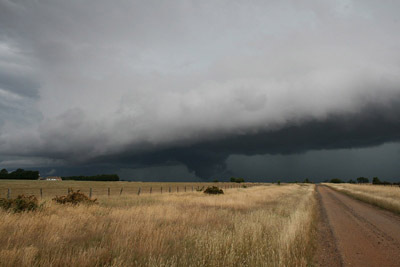 The connection to the ground can be seen clearly. 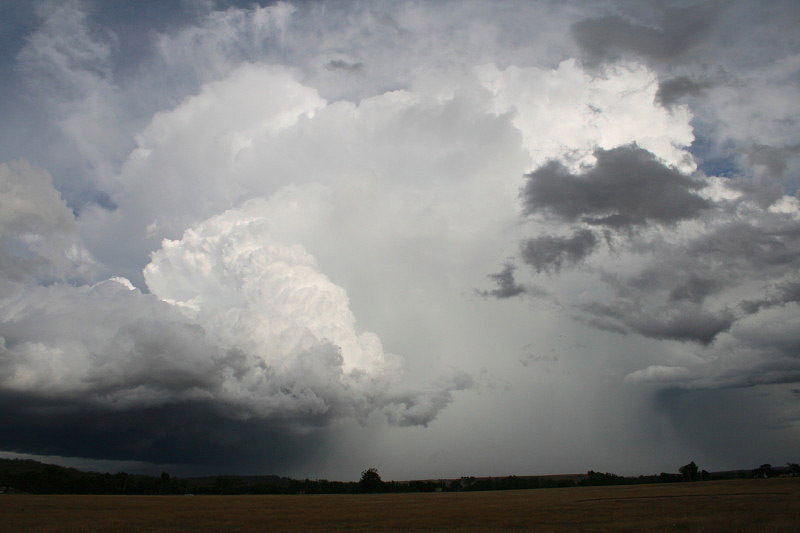 The fractus is now organising in the vorticity field. 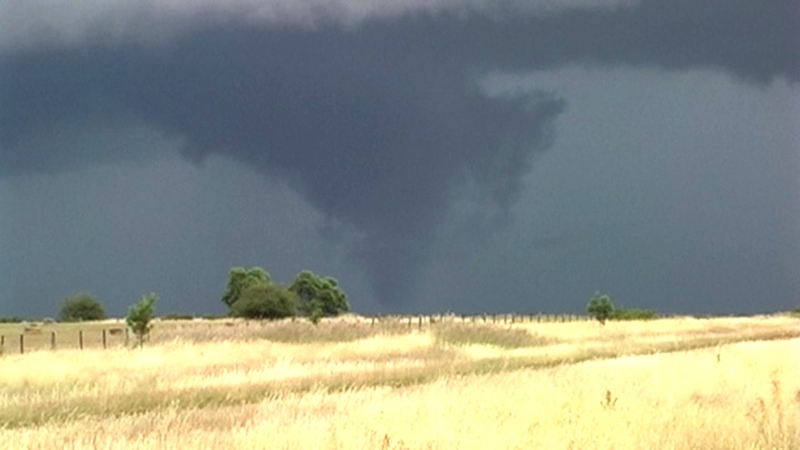 This sequence of early images shows the clear tube shape of the tornado. 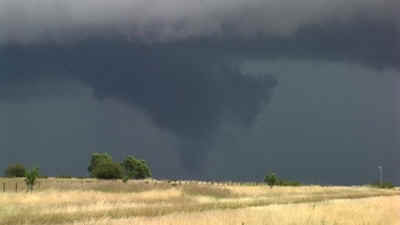 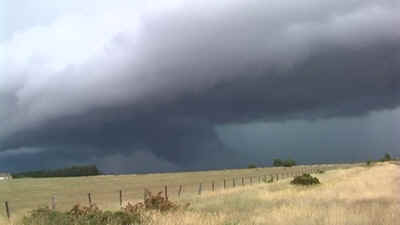 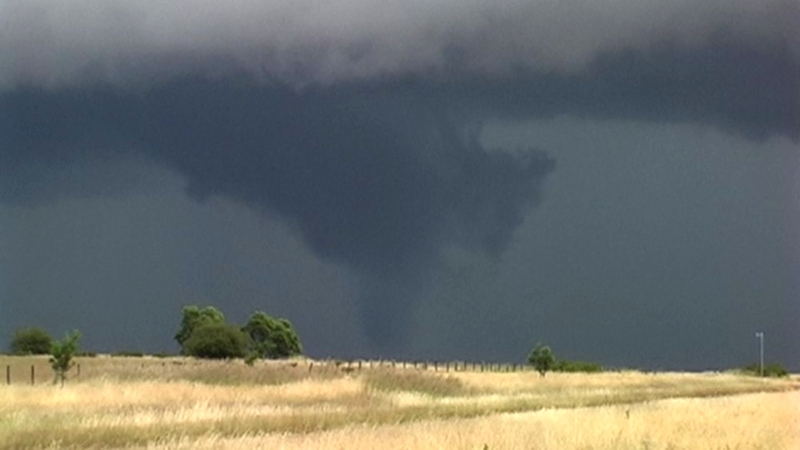 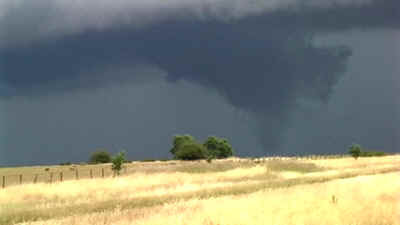 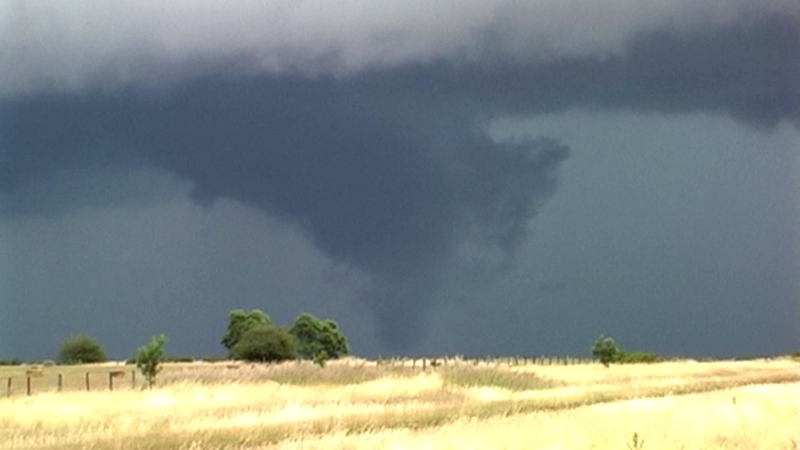 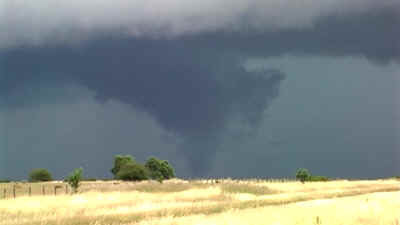 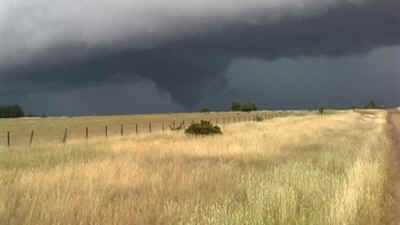 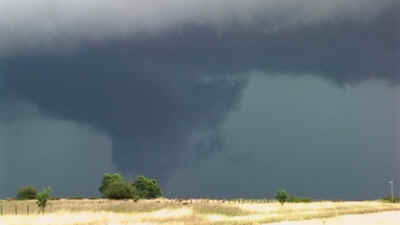 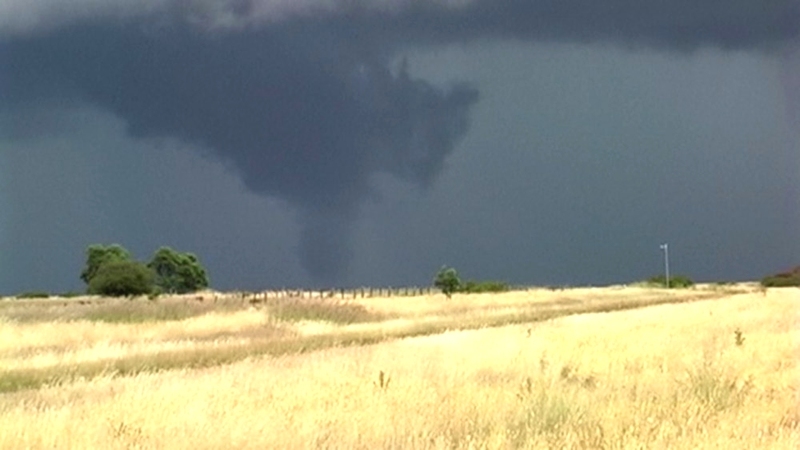 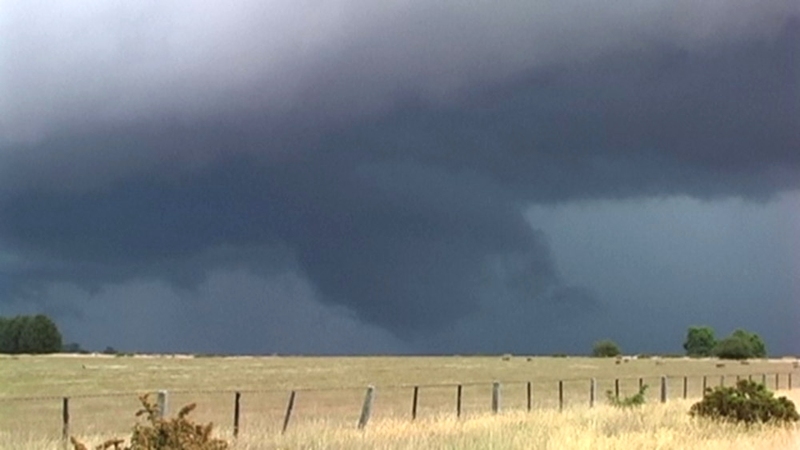 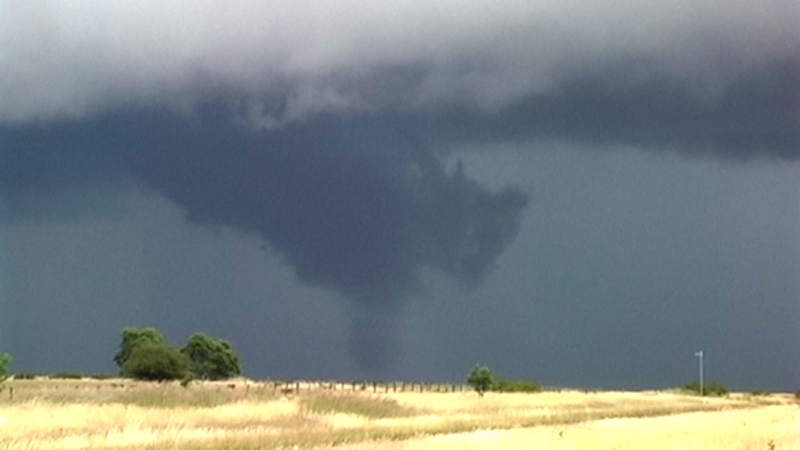 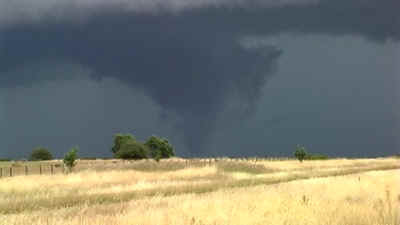 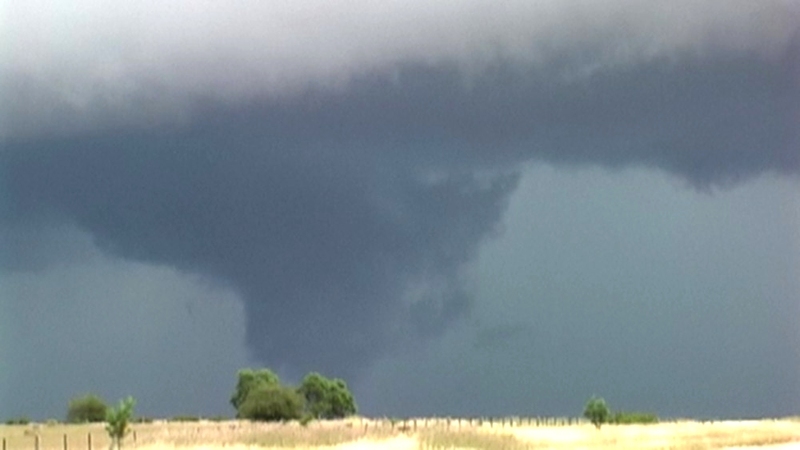 In this image the tornado starts to broaden rather quickly. 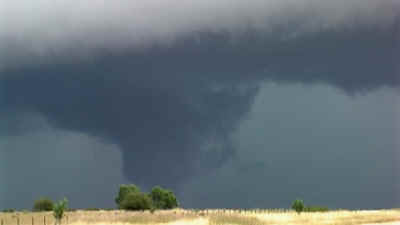 The tornado has rapidly intensified and the scud fractus lowering is showing better organisation with a curtain appearance halfway down the tornado. The curtain, or skirt, is establishing around the tornado vortex. A fractus streak appears on the right side. 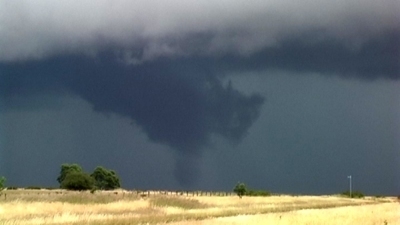 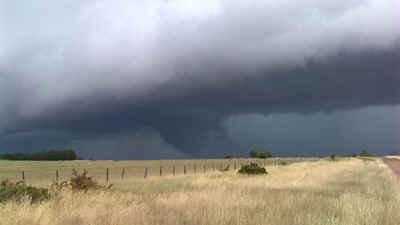 This image displays the tornado near maximum with a reasonably defined skirt and a developing upper collar. 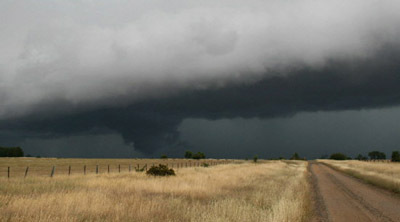 The funnel appears below the skirt connecting to the ground. 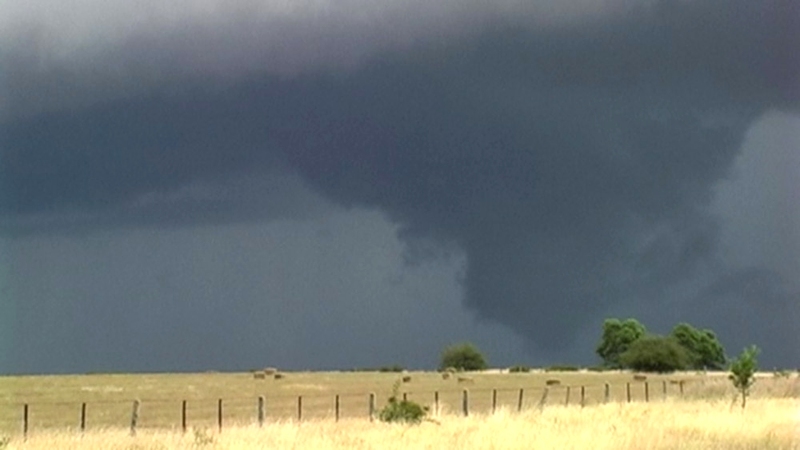 In this series of images, the tornado passes relatively quickly to the ENE. 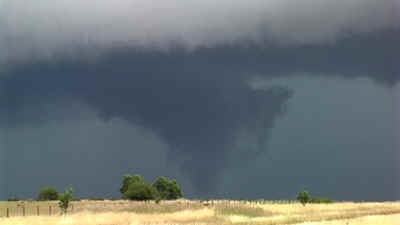 The tornado is now becoming rain wrapped from the right side and quickly weakens. 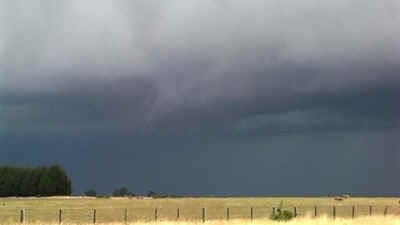 Following the disappearance of the tornado, the cell collapsed producing a strong outflow at its rear, that raced rapidly N then NE. 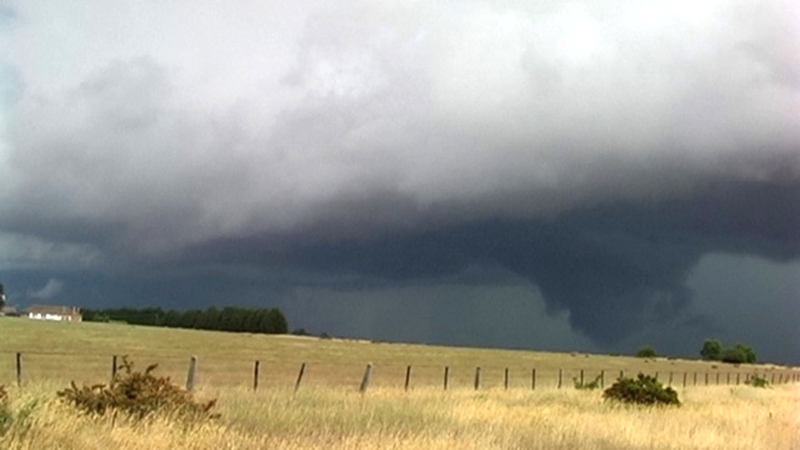 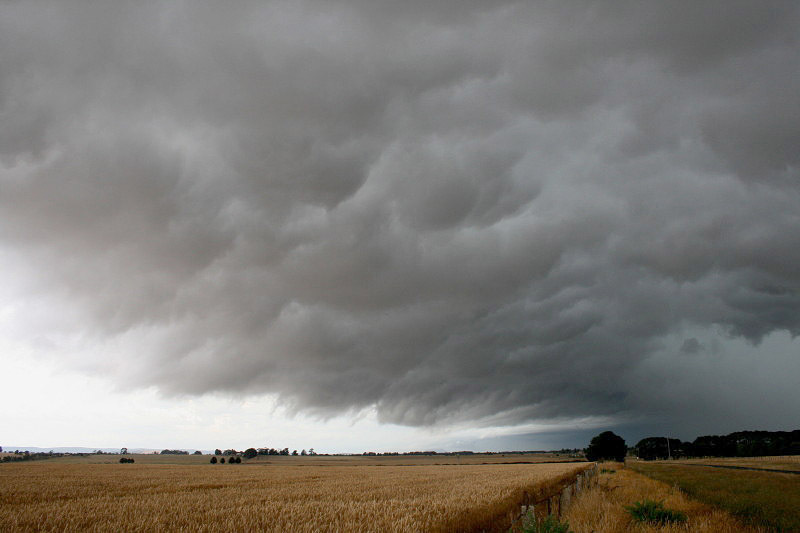 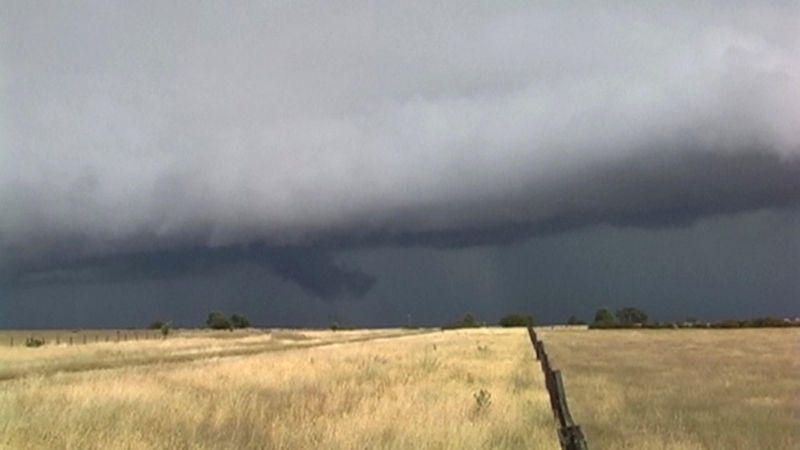 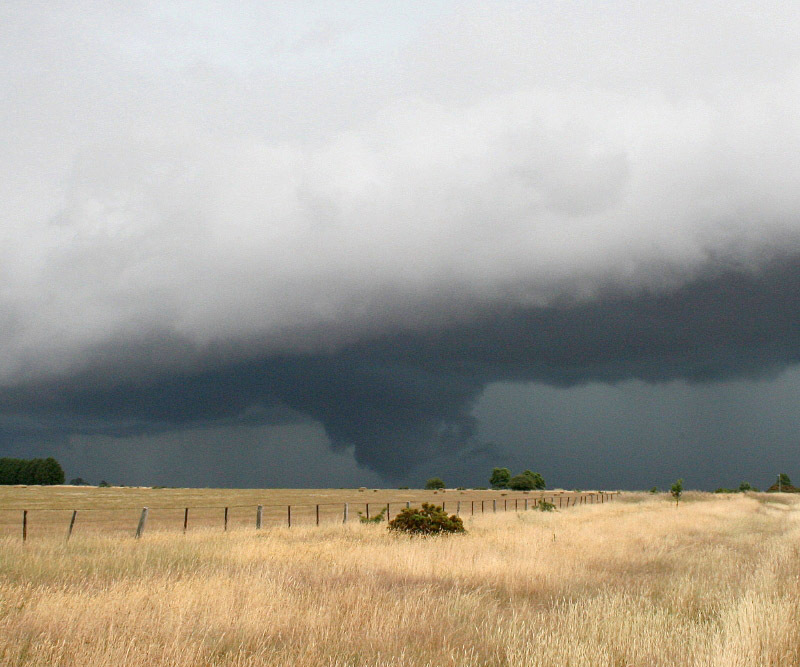 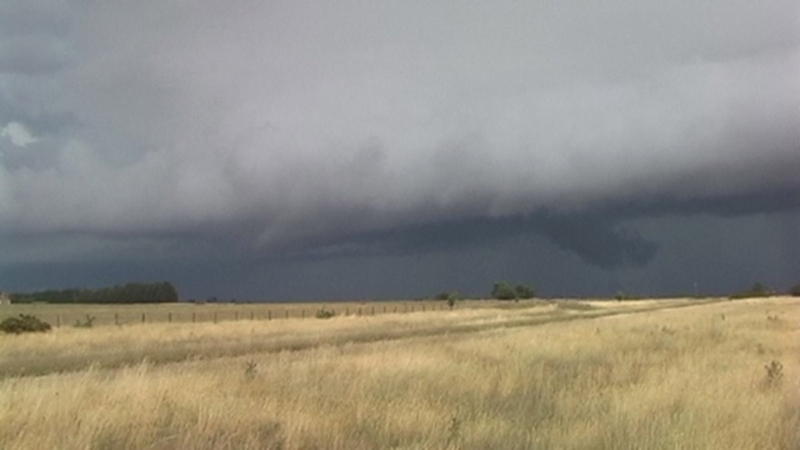 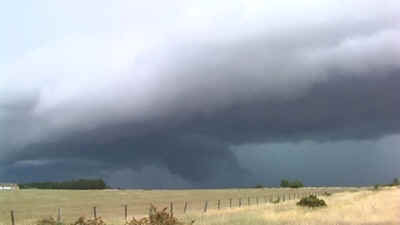 This storm was identified by Harald Richter as a supercell with a persistent large meso. 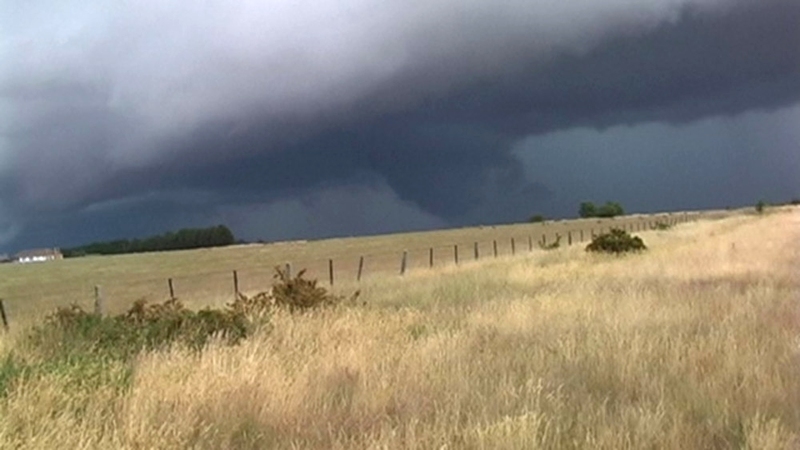 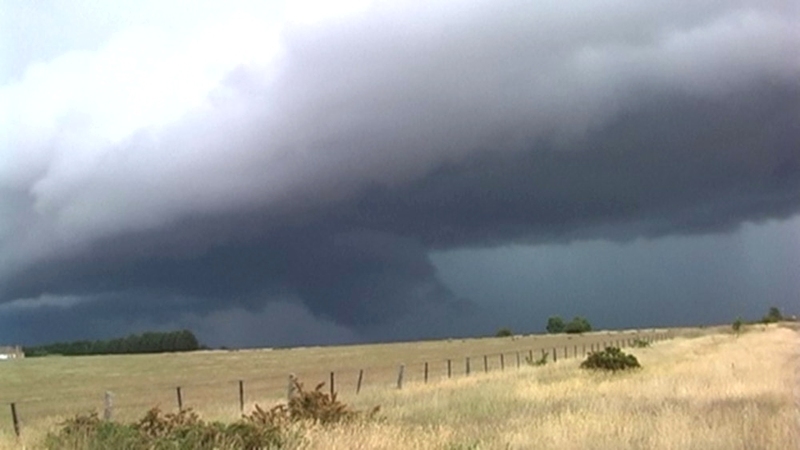 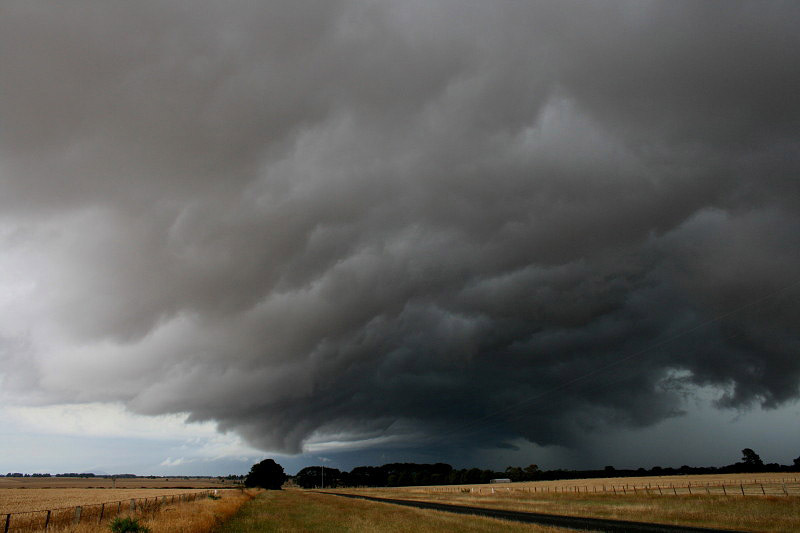 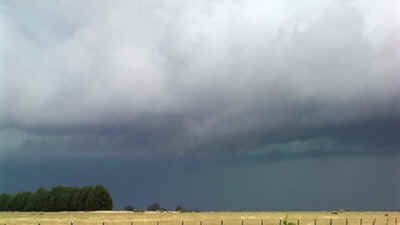 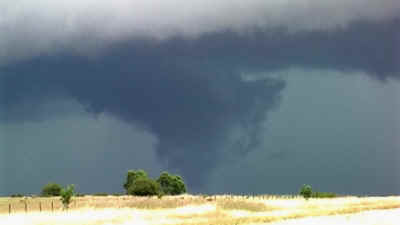 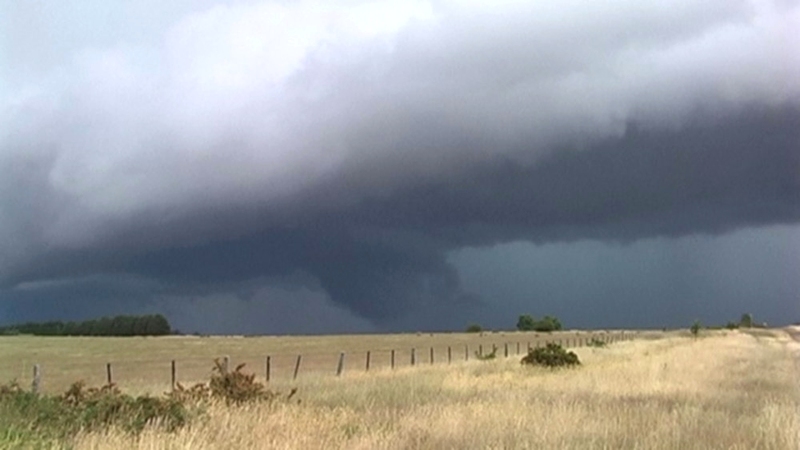 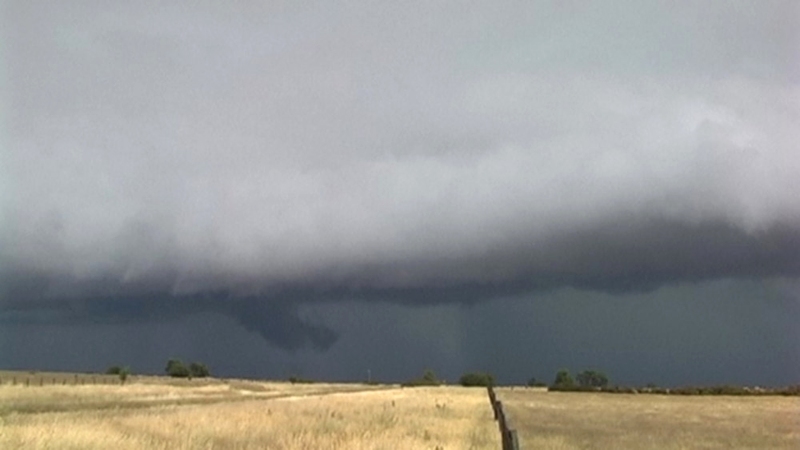 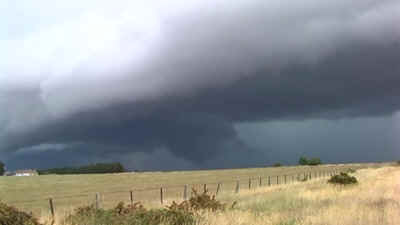 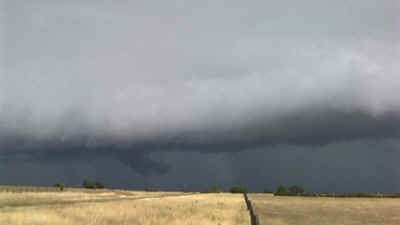 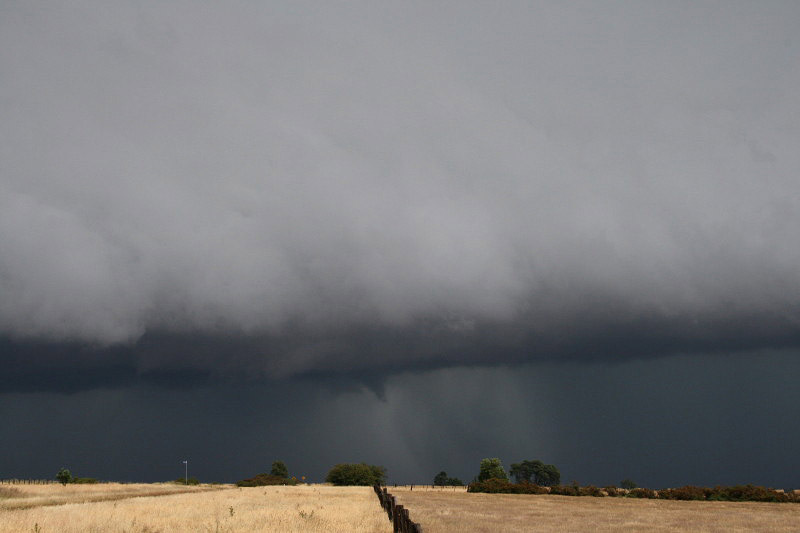 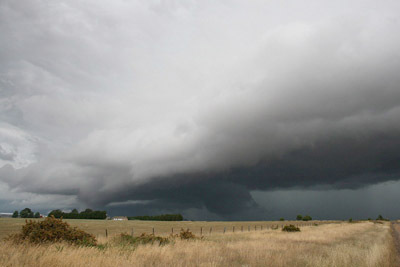 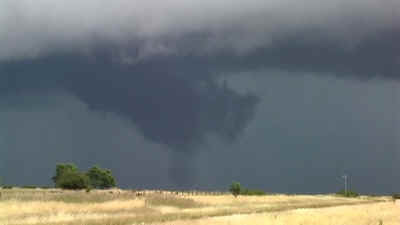 This was the storm that developed from the outflow from the Ballarat storm complexes, near Castlemaine later that evening.